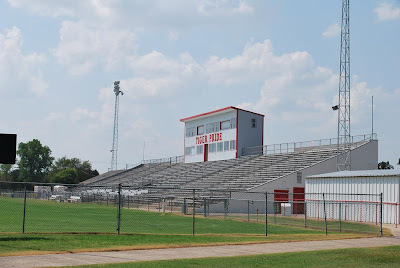 Only one more day till the Terrell Tigers football team plays its first home game of the year. Lets make sure these stands are filled full of Tiger boosters. Tigers are off to a great start, time to show some support. The Tigers play at Memorial Stadium, Google Ben Gill Park for directions. Kickoff is 7:30PM. I took this picture before the rain started last Thursday. I needed to see what nice sky's looked like. I will have my NFL picks tomorrow. I will be looking to improve my 12-4 start.